Maryland’s rich equestrian heritage runs the gamut from thoroughbred racing to jousting to steeple chase racing and more. Of particular note, Governor Samuel Ogle introduced organized Thoroughbred Racing to the American Colonies when he opened the now historic Belair Stud in Bowie, MD in 1747. 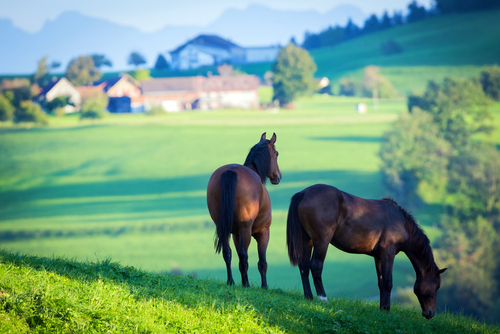 With almost 10% of the total landmass in Maryland accredited to horse farms and the ancillary production of hay and straw, the equine industry in Maryland preserves green space for generations of future Marylanders.